View more Puerto Vallarta Rentals! 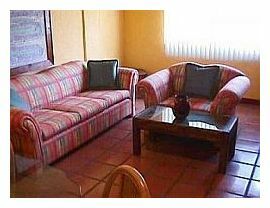 If you are looking for a place to stay in Puerto Vallarta at a great price then this condominium rental may be right for you. 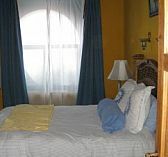 This condo is a 2 bedroom, 2 bathroom rental and is suitable for about 4 people. 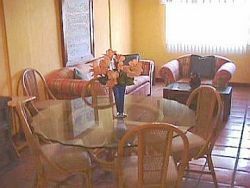 It is right off of the Canto Del Sol road in Puerto Vallarta and is only a short distance from the airport. You'll be able to reach the Malecon which is the local boardwalk with many artists and vendors selling their wares. The Malecon is also a great place to people watch and there are many restaurants and bars dotting it along the way. Choose your favorite and sit back with a frozen drink..
You'll have a private access road to the beach which is only about 1 block away and you're sure to enjoy the wonderful surf of beautiful Puerto Vallarta. You'll also be able to catch a bus to any other attractions or wander around by foot to find something to entertain you. You have a working kitchen with microwave, oven, full fridge, stove etc. You'll also have a washer and dryer at your disposal as well as beach towels. 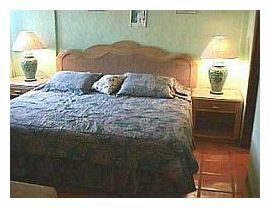 There are lovely city, mountain and ocean views to ensure you have a wonderful and pleasant stay in this rental. Get ready for a relaxing time by the beach in these Puerto Vallarta rentals and don't forget to visit Guadalajara, which is only about a 3 and 1/2 hour drive away.